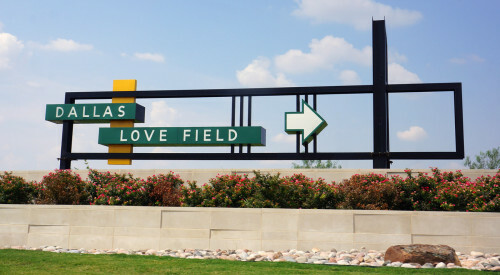 There’s been lots of news about new air service coming to Dallas Love Field, but the airport art program is also getting revved up. Nine new commissions have been added to the five already installed and there more are on the way. 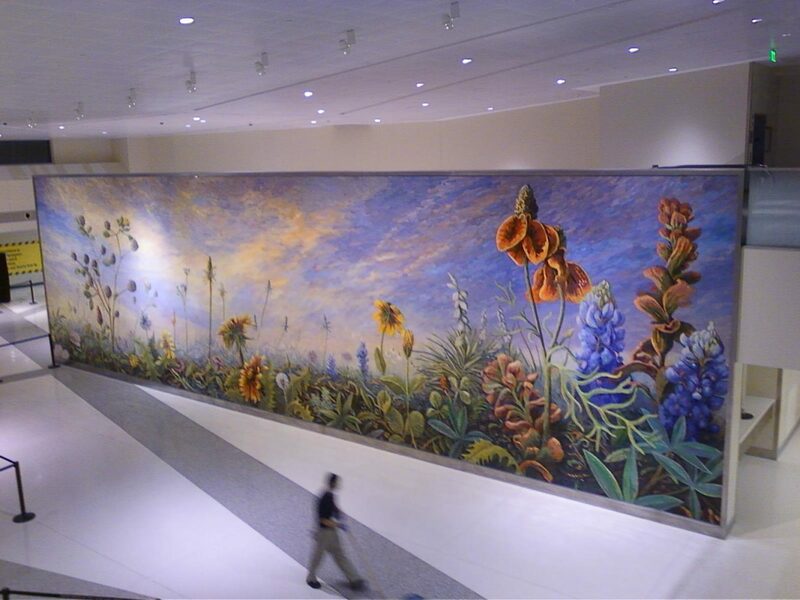 This mosaic mural greeting passengers in the main lobby – North Texas Sunrise, by Dixie Friend Gay – is 60 feet long and 18 feet high and depicts a Dallas sunrise breaking over a field of Texas wildflowers. Sky, by Brower Hatcher, is made of intertwined light weight fiberglass rods and includes 3000 flying objects ranging from modern airplanes and biplanes to birds, bees and clouds, with small LED chip lights that create atmospheric effects. Julie Cohn and Diana Goldberg’s six 10-foot-tall Luminaria greet visitors at the airport entrance. And In Flight, by Paul Marioni, is a terrazzo floor that features birds flying over a changing skyscape. Take a look here to find out more about the program.